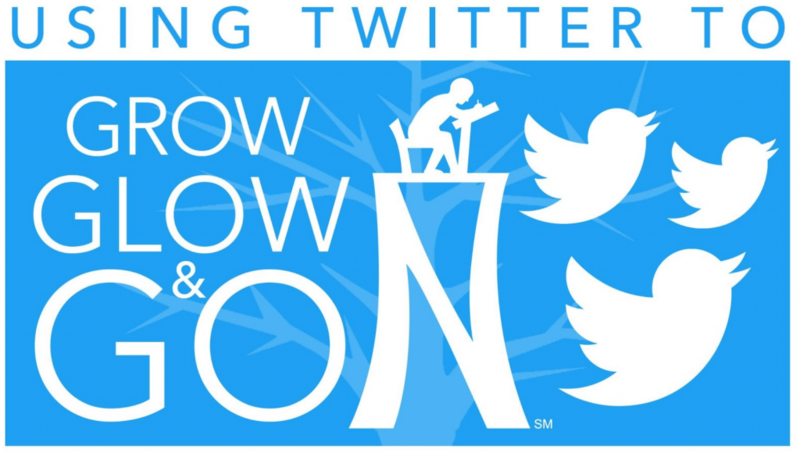 A quick question for you…I’m working on our district’s twitter chat for this school year and was wondering if you had a listing of topics that you can share and/or any marketing ideas (what can we do to get our teachers involved and participating in the chats). Thanks in advance. Before we go much further, let’s answer the question that some may have. That is, what is a Twitter chat? 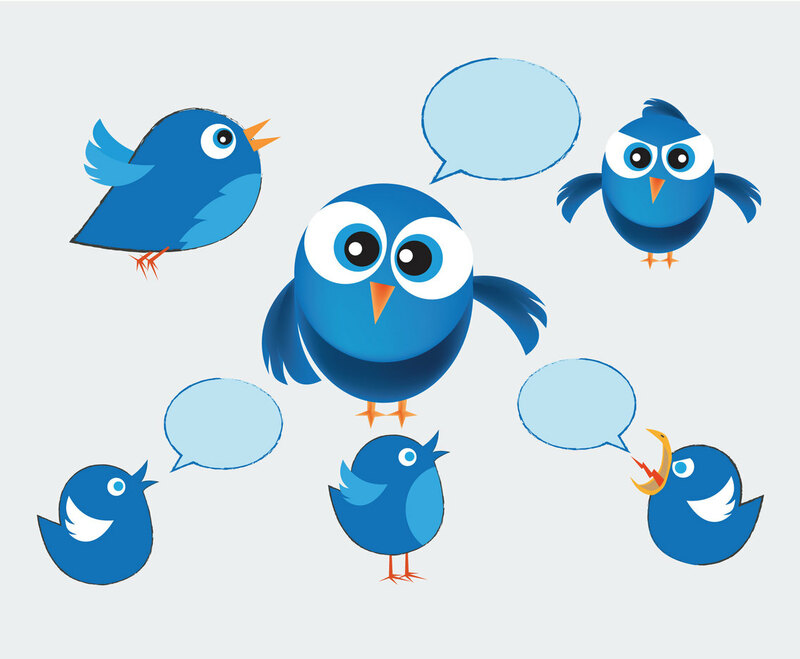 Twitter chats are a great way to build a community. You’ve probably seen the hashtags that suddenly populate your timeline at a particular hour? …hashtags are a means of pulling a group of like-minded people together for an hour. At best they will chat and have meaningful conversations about the topic, which will foster a sense of community. Twitter Chats are one way of fostering a sense of community. Creating, strengthening a community remains an essential part of any school organization. It is as essential online as in physical spaces. For a chat to be effective, make it an extension of a face to face relationship. 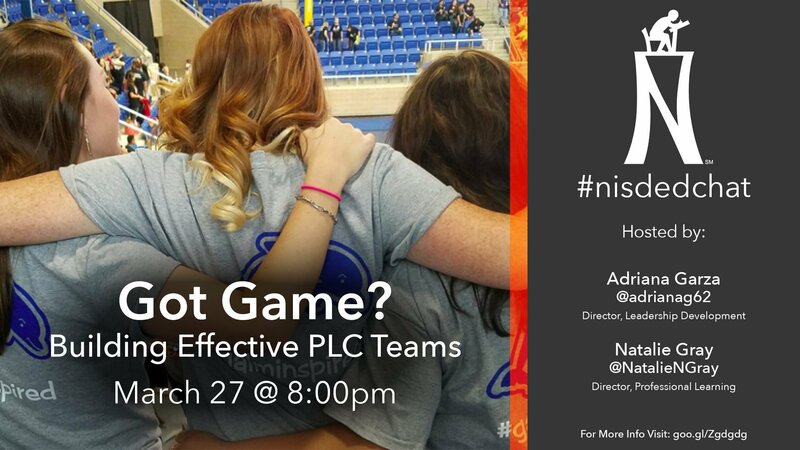 “Once we gained a little momentum, people were reaching out to me…but I did start out with personal 1-1 invites,” says Dana Bickley (Northside ISD). Unlike many Twitter chats that start out online, you can start face to face. As Dana points out, why not start a pizza party? Invite folks to join you and learn to use Twitter as well. Move from location to location for each Twitterchat, inviting admins to get involved. As you can see from Dana’s efforts below, participants were able to earn CPE credit for their participation. Imagine attending an afternoon workshop where you earn CPE credits and get pizza? 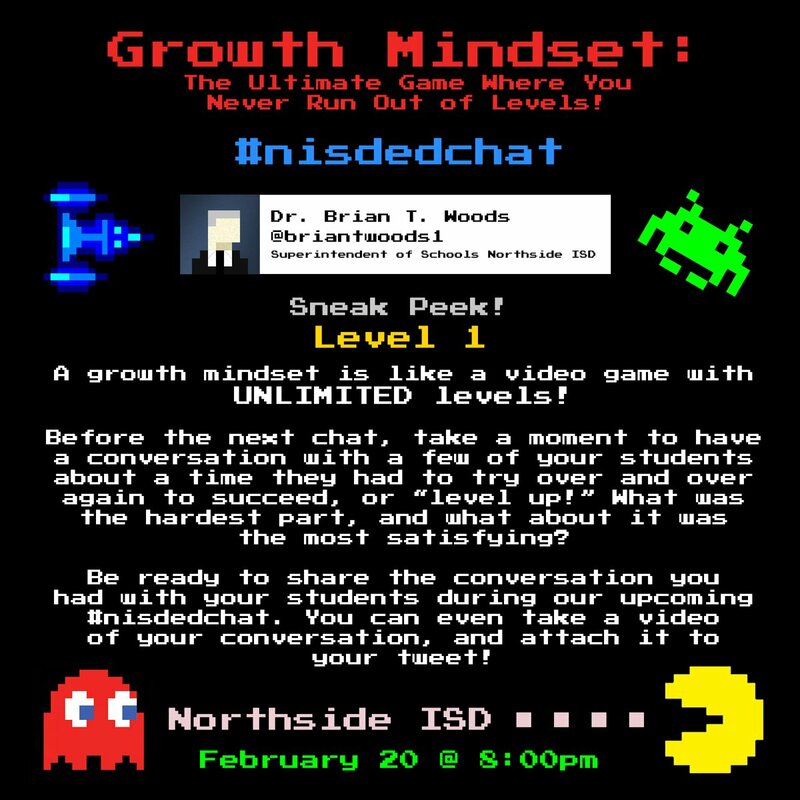 “To get hosts, I started out by personally inviting people to lead a chat,” says Dana Bickley (Northside ISD). 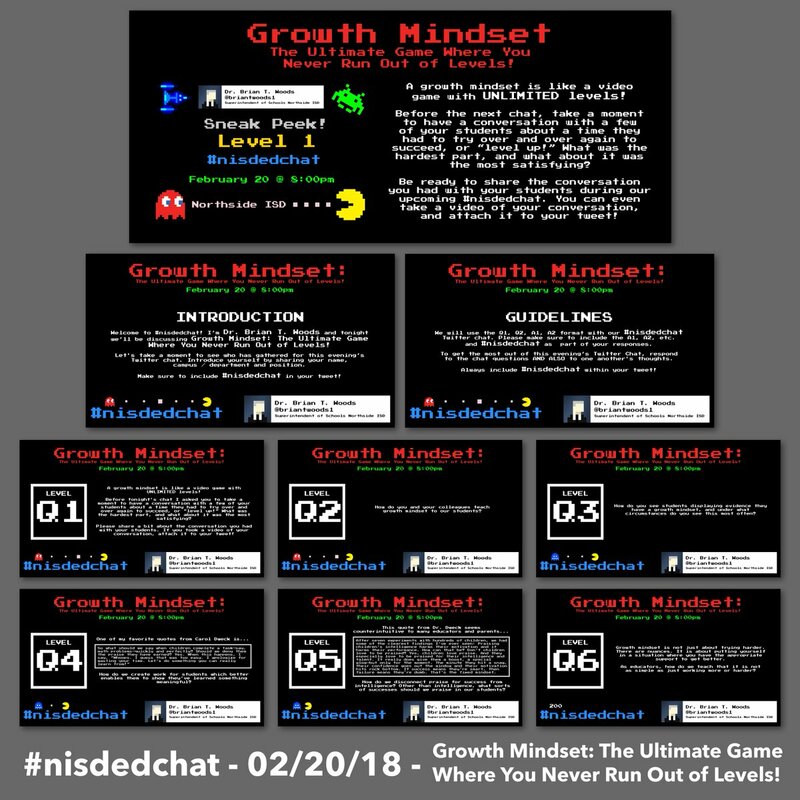 Kathi Kersznowski (@kersz) suggests having “great, engaging graphics for questions.” Here’s one example focused on growth mindset chat. When selecting topics, aim for open-ended topics that welcome the sharing of experiences and opinions. Some of the best ways to engage adult learners is to encourage the sharing of personal experiences. 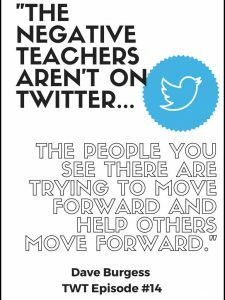 Just because a topic has been discussed via another Twitter chat, it does not mean your district should avoid it. The goal is to have open-ended discussions and bring your participants unique focus. One way to get organized is to brainstorm topics relevant to your District’s mission, then create a schedule. Don’t Count the Days, Make the Days Count! Finish the Year Strong! I have an iPad! Let’s chat! Learning Made Fun Gets Done! 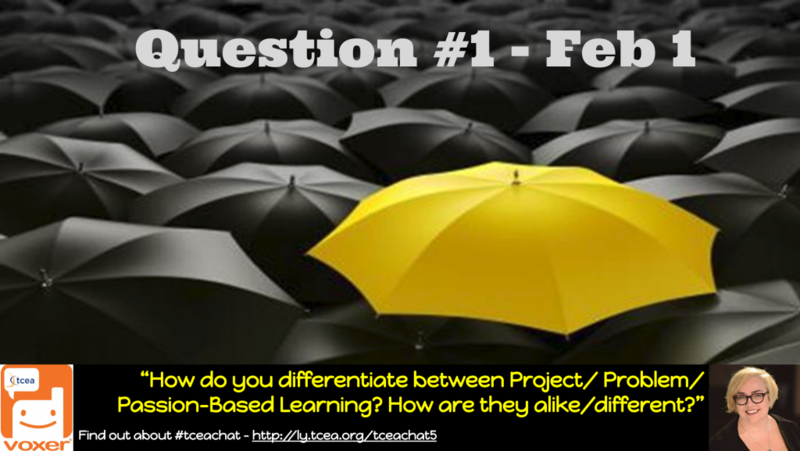 The chat questions are arranged in a nifty “twitter card;” no reason why you can’t send a copy to chat leaders and participants. 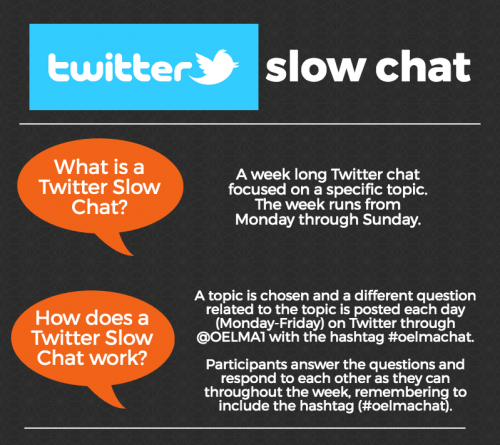 You can organize your Twitter chat questions as a slide deck. Here are a few that I made for a #TCEAchat that relied on Voxer more than Twitter. 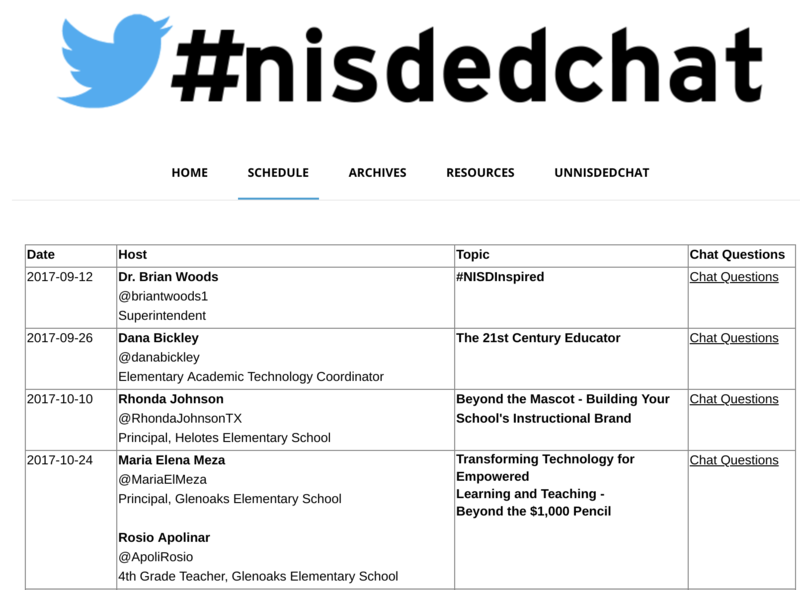 I often encourage Twitter chat organizers and participants to blend other media types into their chats. For me, that’s easiest when using an app like Voxer. With slow chats, advertising a schedule with questions in advance assists people. You can block off your calendar with different topics each week that focus on discussions of practical value to participants. What About a Tweet Meet? Instead of a Twitterchat, do a TweetMeet. 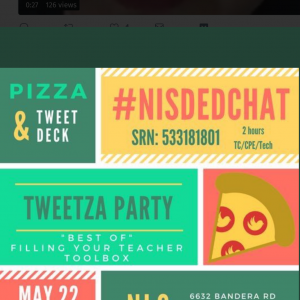 The latter involves scheduling all questions and responses by the facilitator, guest host(s) ahead of time using https://TweetMeet.twitter.com . 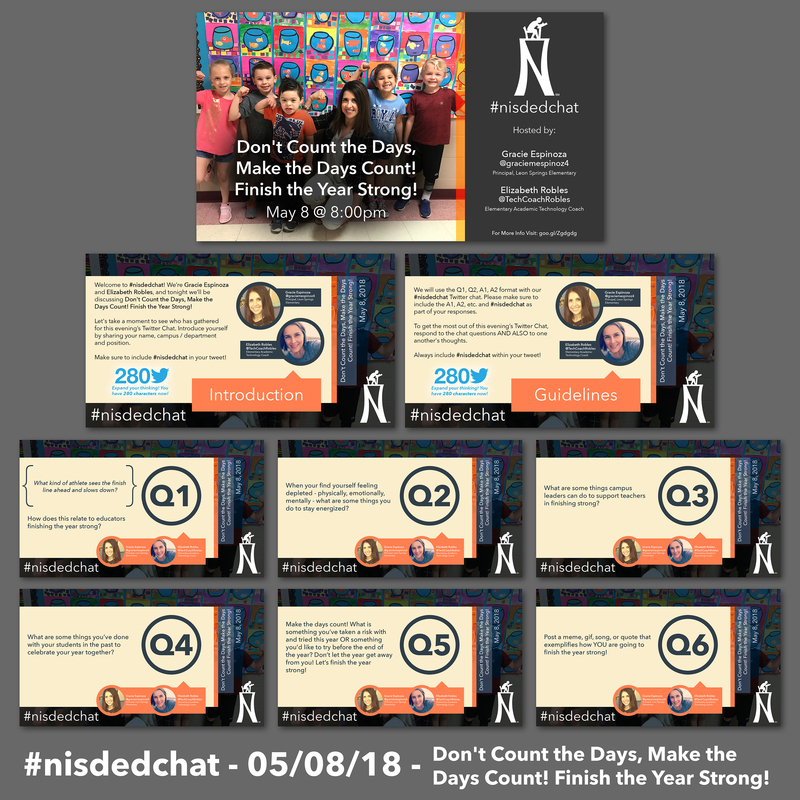 The main benefit is that an admin or person who may only be able to respond to an email with questions can have all their responses scheduled to appear live during a Twitter chat. This makes it look like they are “live” but in truth, they may not be (or maybe they are but don’t have to worry about responding except to follow-up questions). 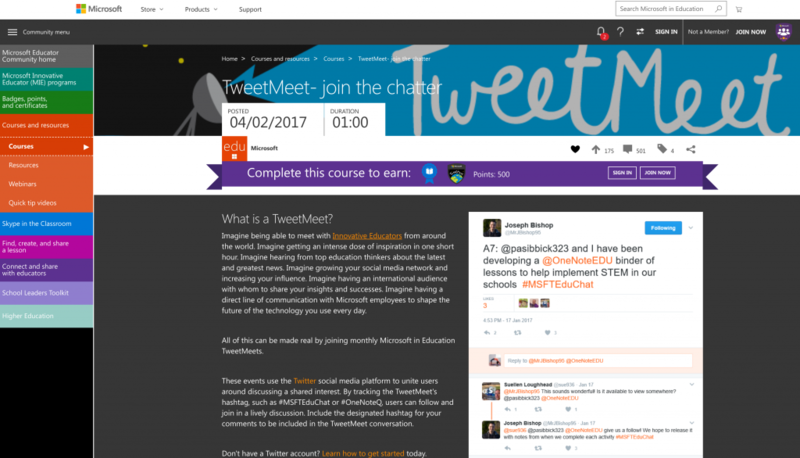 Microsoft has several tweetmeets scheduled throughout the year. You can even complete a free online course via the Microsoft Education Community. Ready to get started? Remember there are many district chats ongoing. Why not lurk, jump into those to get your feet wet before starting up your own? It will be fun. What’s more, you may find an opportunity to build a bridge with other chat organizers. Imagine how powerful it is to escape the bounds of time and distance to connect with other educators brimming with amazing ideas.